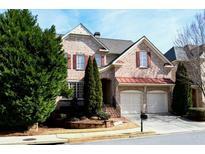 Below you can view all the homes for sale in the Palisades subdivision located in Alpharetta Georgia. Listings in Palisades are updated daily from data we receive from the Atlanta multiple listing service. To learn more about any of these homes or to receive custom notifications when a new property is listed for sale in Palisades, give us a call at 404-998-4017. Perfectly Located Less Than A Mile From 400, And A Bike Ride From Avalon, This Is The Home You'Ve Been Looking For! MLS#6531461. Atlanta Fine Homes Sothebys Intl..
Hoa Dues Include Lawn Maintenance. Swim/Tennis Community. MLS#6514975. Ansley Atlanta Real Estate-Atlanta North. Walking Distance To Shopping, Dining And Greenway. MLS#6510947. Coldwell Banker Residential Brokerage. New Roof, Fresh Paint And Perfect Condition. MLS#6108941. Ansley Atlanta Real Estate-Atlanta North.